Foremost authority on comb-crested agamid lizards? Marty’s photo of the day #2520: I photographed this female comb-crested agamid lizard on the island of Borneo. How do I know she’s a female? The males have a much larger comb crest. And that’s about all I know about these lizards. However, as I was typing this, I Googled the lizards’ name to make sure I had it spelled correctly. There, on the first search page, were multiple links, photos, and book excerpts about the lizard—by me! So, apparently, Google thinks I’m the foremost authority on these lizards. 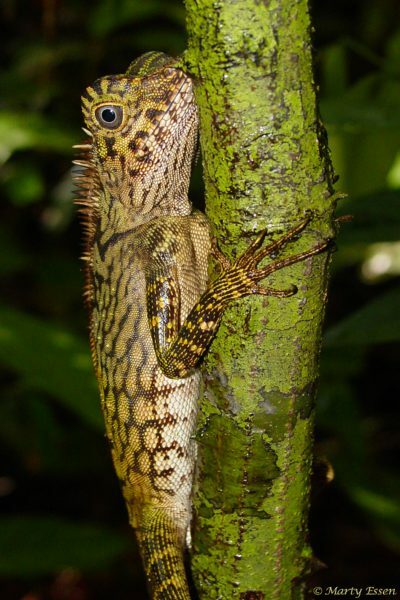 I guess that shows just how few people (other than those native to the island) have seen these gorgeous lizards in the wild.